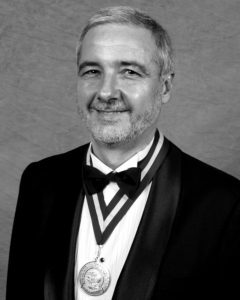 The Tyler Prize Executive Committee announces the awarding of the 2004 Tyler Prize for Environmental Achievement on its thirty-first anniversary to the Barefoot College and Red Latinoamericana de Botánica. These two regional grass roots organizations are recognized for their outstanding contributions to the training and empowerment of local villagers and young scientists to become environmental stewards within their respective regions of the world. 2004 Tyler Prize for Environmental Achievement is awarded to the Barefoot College (the Social Work and Research Center), a nonprofit organization based in Tilonia, Rajasthan, India to honor the College for its pioneering efforts in developing solutions to improve the environment and quality of life for the rural poor of India. The contributions of the Barefoot College include training centers, dissemination of sustainable and eco-friendly technologies for water treatment and energy production and innovative approaches to resource management and public health. 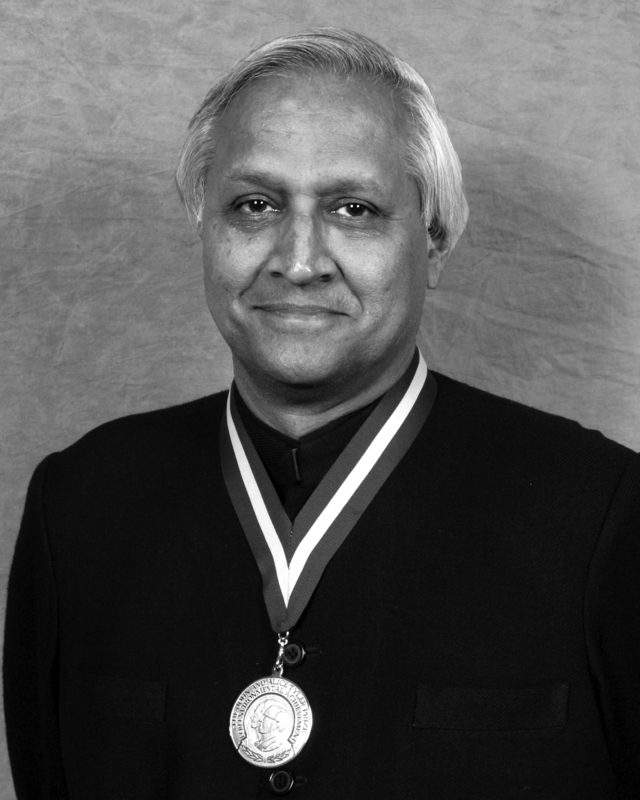 Bunker Roy, the Founder and Director of the Barefoot College received the Prize on behalf of the Barefoot College. The mission of the Barefoot College is to alleviate the suffering of the rural poor, the marginalized and the exploited earning less than $ 1/day and imbue them with self-respect and dignity. Founded in 1986, Barefoot has been the only College in India built by the poor and only for the poor. What the impoverished and marginalized poor think and believe is important is what is truly reflected and internalized in the practical beliefs of the College. Mahatma Gandhi’s thoughts and action on sustainability live in the lifestyle and work style of the College. Living conditions are simple so that the poor feel comfortable and a sense of ownership. Everyone sits, eats and works on the floor. The idea is to apply the knowledge and skills the poor, the deprived, the neglected, the semiliterate and the impoverished rural peoples already possess for their own development thus making them independent and sustainable. This has everything to do with an inner respect for the environment, the natural resources (air, water, sun, wind) they respect and never abuse and this approach alone lets them live with self respect and dignity. The construction of the 85,000 sq. ft Barefoot College was started in 1986 and completed in 1989. Bhanwar Jat an illiterate farmer from Tilonia (who still does not know how to read and write in year 2004) was given the responsibility to build the Barefoot College with 12 “barefoot architects” from nearby villages. As a “barefoot architect” Rafiq the village blacksmith has designed fabricated and installed Buckminister Fuller’s, geodesic domes in many villages. They are being used as schools, dispensaries, community centers, meeting places for rural women and telephone booths. It’s the only fully solar electrified College in India. 45Kws of solar panels provide power for to run 20 computers, a photocopying machine, a telephone exchange and electronic mail, audio-visual equipment (projectors, machines for editing video movies) 500 lights and 70 fans for the residence, library, pathology laboratory, solar electronic works and dormitories for the trainees. The fabrication, installation, repairs and maintenance of the whole solar complex was carried out by rural youth who have done only 10 years of rural schooling. The Barefoot College (BC) in Tilonia started adopting rainwater harvesting practices in 1986. In an area over 2000 sq. kms and several hundred villages covering the saline belt of Rajasthan the Barefoot College started contacting the people to make them revive old technologies because they had no choice. The main objective was to provide safe drinking water to the people in the region. In 2000-2001 the trained barefoot engineers constructed 446 community tanks in 317 schools and 113 at community centers to collect 27 million litres of rainwater providing drinking water to over one million people. The increased availability of safe drinking water for the first time in these remote has resulted in a 30% increase of female students. Barefoot Teachers are running over 150 night schools for boys and girls who cannot afford to go to school in the morning because they look after sheep and goats for their parents. The night schools are for the convenience of the children-not the teachers and the schools currently serve 1800 girls and 1200 boys. A Children’s Parliament has been monitoring supervising and administering these 150 Schools. For the past 7 years they have elected 3 Prime Ministers (all girls 12-14 years old with a Cabinet of some 10-14 Ministers (all under 15 years old). Their responsibility is to see that a) the teacher comes in time b) more children come to school and there is adequate drinking water d) the solar lanterns are working and not being misused by the teacher e) there are enough teaching and learning aids. Some 90% of the education and learning materials are produced as part of an income generating activity for children who leave the night schools. Blackboards, chalk, notebooks, floor mats, science teaching materials, and toys are produced by physically challenged youth out of waste materials. . Solar lighting arrangements in non-formal and adult education centers, school hostels and night schools has enhanced the learning environment and reduced pollution compared to the earlier scenario of using kerosene and oil lamps. The safety factor of doing away with fire hazards in the schools is another significant improvement in the schools. Solar lighting arrangements through fixed solar photo-voltaic lighting units as well as lanterns are presently accessed by children attending 521 schools in 12 states including Andhra Pradesh, Arunachal Pradesh, Assam, Bihar, Gujarat, Himachal Pradesh, Jammu & Kashmir, Jharkand, Madhya Pradesh, Rajasthan, and Tamilnadu. In recent years, The Barefoot College has been recognized and received numerous prizes and awards for its activities and accomplishments. In 1997-98, the United Nations Environment Programme (UNEP) Dakar, Senegal, presented Barefoot the Save the Drylands Award. In 2000, A Nuclear Free Future Award was presented in Berlin Germany. The year 2001 brought recognition by the World’s Children’s Prize to the Children’s Parliament of Tilonia from the Queen of Sweden in Mariefeld Sweden and also an award from the United Nations Arab Gulf Fund (AGFUND) for Promoting Volunteerism, from HRH Talal Bin Abdul Aziz of Saudi Arabia in Geneva, Switzerland. Barefoot received four awards in 2002, The World Technology Network Award for Social Entrepreneurship in New York in August; The Schwab Foundation Award for Outstanding Social Entrepreneurs at the World Economic Forum in Geneva, Switzerland in September; The Stockholm Challenge Award for Information Technology and Environment, Stockholm, Sweden in October; and The Tech Museum for Innovation Benefiting Humanity, NASDEQ Stock market Education Award, San Jose California, USA in November. Three prizes were received by Barefoot in 2003 – the St Andrew’s Prize in Scotland; the Ashden Award for Renewable Energy in London and the Premio Italgas Prize for Energy and Environment, Turin Italy in December. The Barefoot College and its founder Bunker Roy manifest the best in achieving sustainability in rural India by combining simple scientific and human efforts at the grass roots village level. Hundreds of thousands of rural peoples now enjoy the benefits of solar power, non-polluting lighting sources, water pumps and greater opportunities for employment. The 2004 Tyler Prize for Environmental Achievement is awarded to Red Latinoamericana de Botánica (RLB), also known as the Latin American Plant Sciences Network (LAPSN), for its contribution to the advancement of botanical sciences in Latin America by providing an unprecedented program of courses, student exchanges, and collaborative research projects that promote regional pride, self-sufficiency and strong and healthier international relations among the countries of Latin America. This important regional organization has engaged in the task of improving the number of qualified Latin American botanists to survey vegetation, and to further the understanding of ecosystem functioning related to Latin American conservation and the better management of natural resources. Through a consortium of more than 25 graduate training centers located in 6 Latin American countries, the RLB has trained 172 graduate level researchers from 17 Latin American countries to solve ecological problems in the region. It has also fostered improved south-south communications, by promoting a sense of scientific community, self-sufficiency, and stronger and healthier international relations between Latin American countries. The Neotropics are home to one of the largest and most unique assemblages of biological diversity in terms of both plant and animal species (and possibly microorganisms as well) on the Planet. Colombia, Ecuador, and Peru together are home to 50,000 species of flowering plants. Mexico also has 25,000 species of flowering plants and is home to the highest number of species of reptiles, and is second only to Indonesia in total number of mammalian species worldwide. Additionally, the Neotropical region contains significant tracts of almost all biomes known to earth. Alarmingly, these invaluable resources are threatened at an unprecedented rate due to inefficient agricultural or grazing practices and general timber resource exploitation. The end results of these practices are species population reduction, habitat destruction, and soil erosion. Poverty, economic marginalization, and natural resource devaluation are all contributing causes to the loss of species diversity to the Neotropics. However, limited public participation further exacerbates the problem. The expertise shortage in the areas related to knowledge, conservation and management of the natural resources in developing countries has been so limited that the Conference of the Parties Convention in Buenos Aires 1996, issued a mandate to its executive body to find mechanisms and actions to solve this fundamental problem. Since its inception in 1988, some sixteen years ago, RLB has offered a variety of unique and specially designed academic training programs that have afforded opportunities for young men and women of the region to obtain first class academic training. This encompasses offering short term specialized courses for mid-career professionals working in conservation and/or natural resource management to supporting students to pursue doctoral degrees in research based graduate programs. It has also stimulated interstate scientific collaboration. The Red Latinoamericana de Botánica is one of the few regional institutions that offers such diverse levels of academic interchange in Latin America. It has trained 172 graduate level researchers at either the doctoral or masters’ level as well as offered 47 short-term specialized graduate courses. It has funded 80 scientific events and provided 156 small grants for botanical research in Latin America. Its scholars have published over 100 scientific articles and books, either as products of their theses or as a direct product of their training supported by the RLB. Over 140 papers have been presented at national and international congresses and a large number of former RLB fellows have been promoted within their academic or administrative posts and many are now actively engaged in the training of new scientists within their home countries. The RLB is truly an integrated network with a high degree of south-south connections. Within the network the coordinators and committee members are selected for fixed terms and share responsibilities for the network, which includes many people from diverse countries. The RLB is governed by an Executive Committee, which is composed of a President, assisted by a Vice-President, the Regional Coordinator for Mexico and the Caribbean, the Regional Coordinator for Central America, the Regional Coordinator for South American Andean Countries, the Regional Coordinator for South American Southern Cone Countries, three Institutional Representatives, and an Executive Director. The Executive Committee and Scientific Committee convene once a year or every two years in a Latin American country to discuss policy and programmatic activities and review applications for fellowships and financial aid for courses, workshops, and meetings. The RLB has had an enormous influence on the botanical sciences as well as resource conservation and management in Latin America.